Musicians: Want To Play In Paris? Laura Reynolds Musicians: Want To Play In Paris? The deadline for young musicians to enter the 2016 Busk In London Gigs competition is fast approaching. Acts aged 11-25 can apply to the competition, which is organised by City Hall, and those shortlisted will be given a busy busking pitch somewhere in London. They'll be playing not for money — but to win the public vote to go through to the grand final. 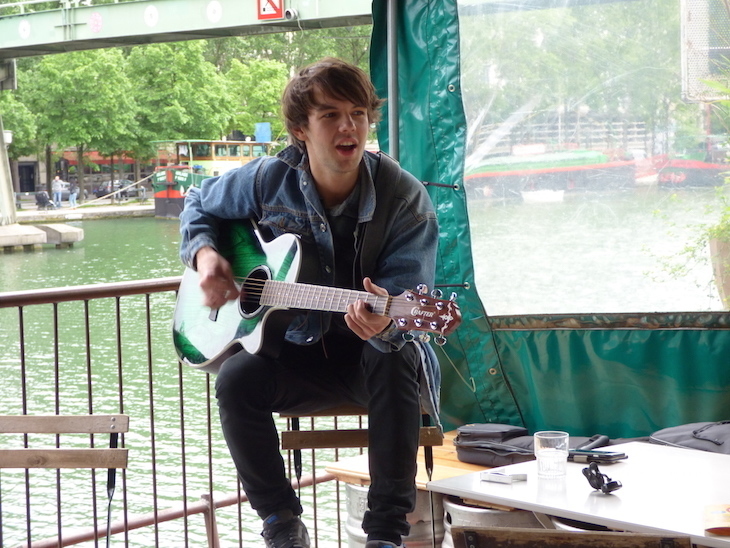 This year's winner, singer-songwriter Alex James Ellison, claimed his prize yesterday — a chance to busk in Paris. 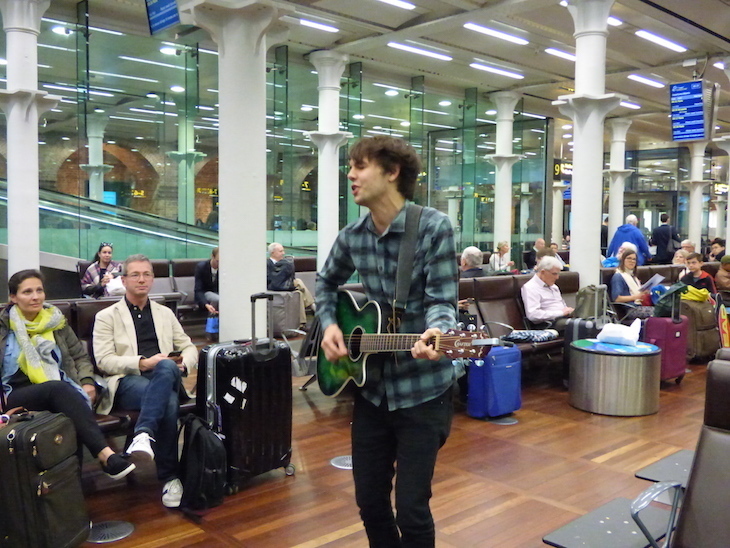 We went with him on his trip, which began with an impromptu gig for waiting passengers in the Eurostar departure lounge at St Pancras. 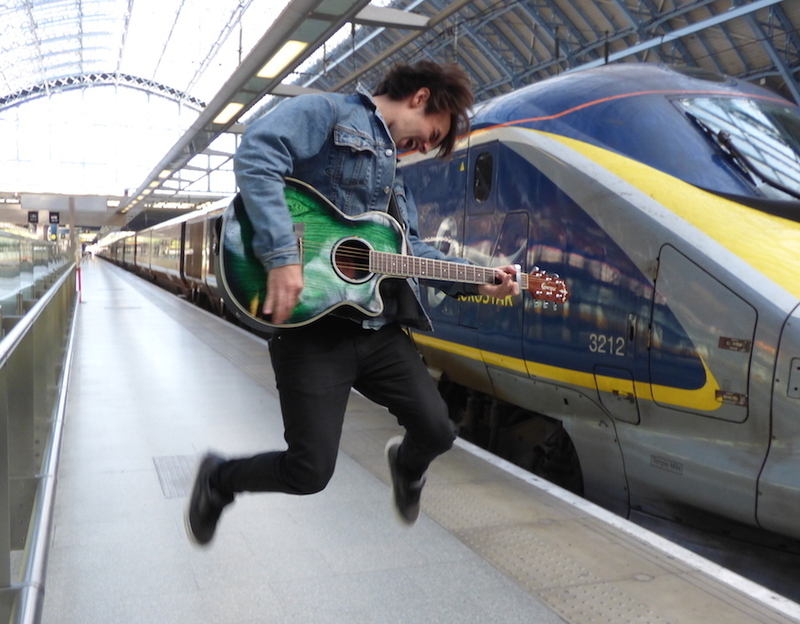 Once aboard the Eurostar, travellers in the buffet car were treated to a mixture of cover tracks and Alex's own songs — the cheeky lyrics of his single Chocolate Bar brought a smile to many faces. 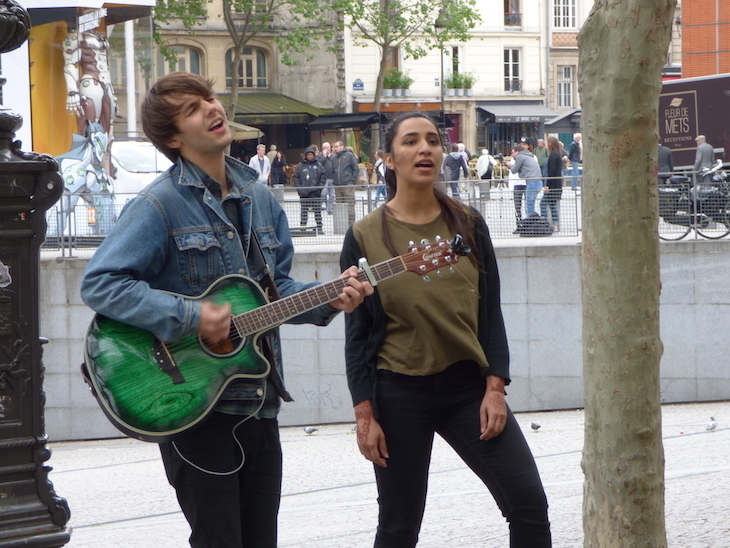 Across the channel, Alex's music picked up several fans — including one young woman who joined in on a duet with him outside Pompidou Centre. His final gig of the day was an early evening performance on a bar on a barge, watched by music fans who were warming up before heading off to a Radiohead concert nearby. Since winning last year's competition, Alex has secured a spot performing at Pride In The Square (part of Pride in London 2016) in Trafalgar Square on 25 June. He's also supporting Samantha Barks' countrywide tour next month. Who knows where next year's winner could end up? Celebrities including Fatboy Slim, Corinne Bailey Rae and KT Tunstall have all been named as Ambassadors for the Busk In London scheme, throwing their support behind its ambitions to make London the most busker-friendly city in the world. Look out for the first ever International Busking Day on 23 July, supported by Sadiq Khan. Busk In London's Gigs Competition 2016 is open until 6 June to musicians aged 11-25 (deadline extended from 31 May). If you win, you could be heading off to Paris this time next year like Alex (or last year's winner Natalie). Keep up to date with Alex's upcoming gigs on Facebook, Twitter or Instagram.